The award winning APG Films are looking for extras for a bar scene in the upcoming feature film, Dandilicious. 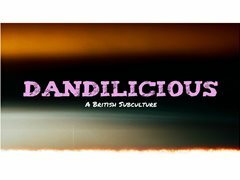 "Dandilicious is a Stylized Neo-Western about a day in the life of a Teddy Boy during the 1950's. Our hero (or anti-hero), Marty, is living the life of a rockabilly and public menace within his own town. Getting into fights and causing disruption on the streets, Marty is the 'King of the Teds'- or is he?" It is also worth mentioning that the film contains strong language and violence. You must have your own clothes (anything that resembles or looks 1950's is preferable). This scene is to take place on Thursday 4th April. Location to be disclosed with successful applicants.